We have in store amazing designs of Clutch Cover which are designed for our esteemed patrons’. These products are available in various sizes and designs and with superior quality these products are customer’s first choice as these are very trendy and available at budget friendly price. We are the Authorised Distributors for Piaggio vehicle spares for three wheel auto spare parts. We are highly acknowledged organization engaged in presenting a remarkable range of Clutch Plate Cover. Minimum Order Quantity -100000 Pieces . With the continuous support of our well-established infrastructure unit, we are affianced in offering an exclusive range of Sheet Metal Clutch Cover. 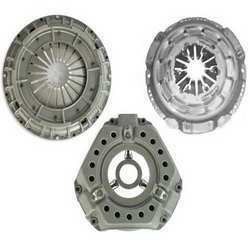 We are offering of a comprehensive range of Clutch Covers. These are designed using premium quality raw materials and advanced technology. Our range finds huge demand in the industry for the high performance, durability and high performance. Moreover, we meet the bulk demand of our clients within the committed time frame. Clutch bell provided by us are not only superlative but also work for a long period of time. These clutch bells are supplied at very affordable prices to the clients.Note:- We Only Deals in Tempo, Minidoor , Champion & Vikram Commercial vehicle parts. 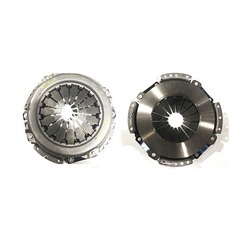 We are devoted towards manufacturing a qualitative range of Clutch Gearbox Cover. Sachdeva Auto Engineers Pvt. Ltd.